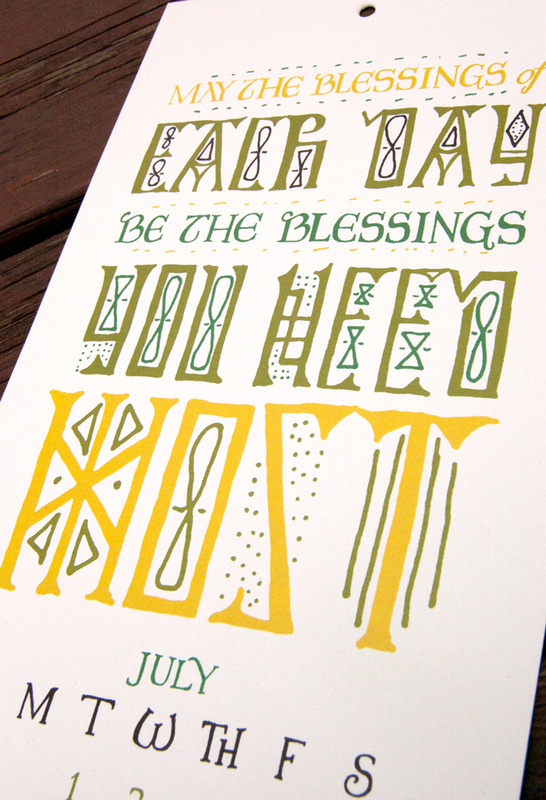 I’m so pleased to share with you the 2014 Irish Blessings Calendar! It’s for sale in my etsy shop now for just $18 with FREE U.S. SHIPPING! This is a very personal project to me. I dedicated this calendar to my half Irish grandmother. I’m so happy with how the calendar turned out. I’ll share with you a few extra photos that I wasn’t able to list on etsy! I will be listing a larger wall calendar of this hopefully later this week! May the luck of the Irish be with you in 2014!